The Dizzy Dragons is a family-friendly kiddie ride in which the whole family can ride together in one of four dragons! Riders are able to control the spin of their vehicle to make their ride as enjoyable as possible! You must be 42" tall or taller to ride alone. Riders under 42" tall must have an adult. This ride requires 4 tickets per person to ride. 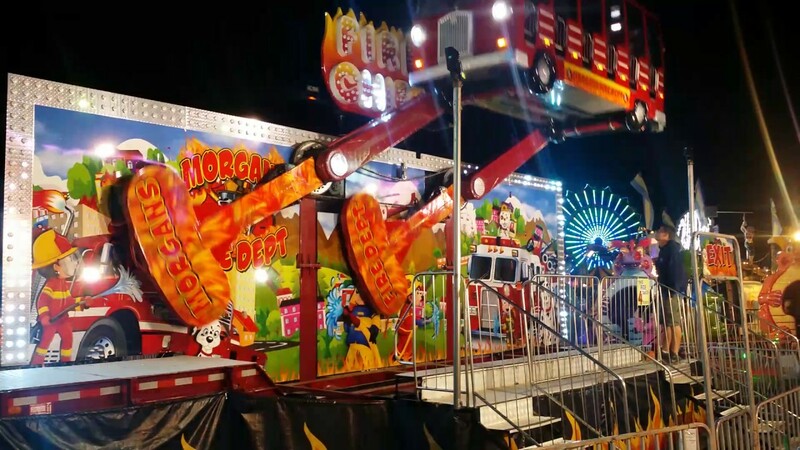 Completely refurbisished for 2018, the Fire Chief is a fun ride in which a large bus goes up and down in a circular motion. Mom and Dad can ride too! Much larger then any playground slide; this 90 foot long super slide is sure to thrill families alike. 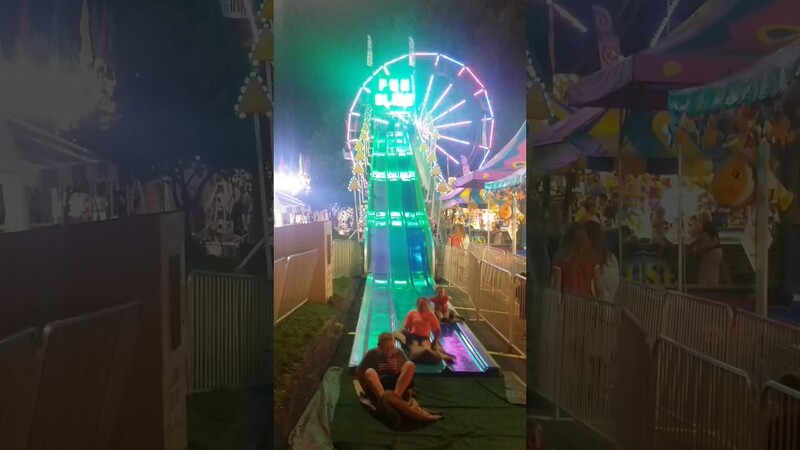 This ride requires 3 tickets per person to ride. 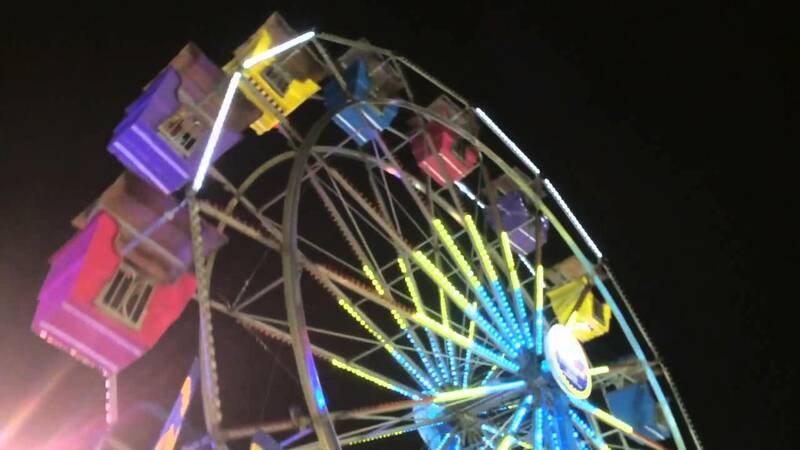 Our Giant Wheel is one of the focal points of our midway and gives riders a birds eye view of the midway and surrounding area. Each of the gondollas seat up to four passengers. At night, the wheel lights up with thousands of multi-colored computer controlled flashing LED lights for a spectacular light show that can be seen from miles away. You must be 48" tall or taller to ride - with or without adult. 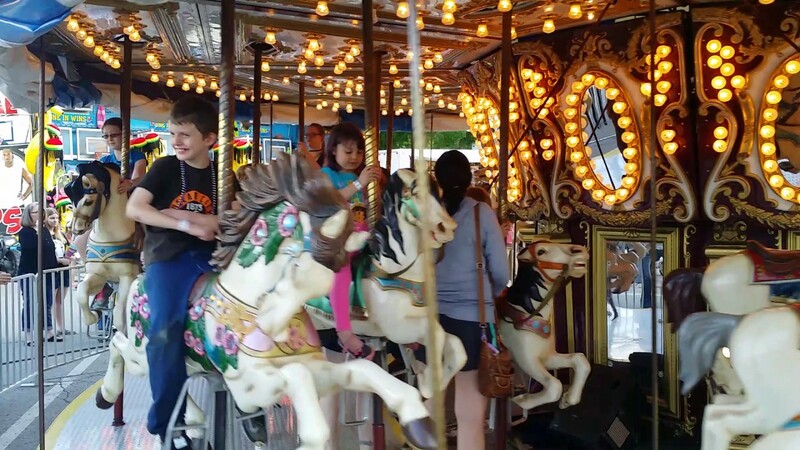 The Grand Carousel, with a ground- up restoration for 2018, is a spectacular full size carousel featuring rows of three horses across. Each horse is elaborately decorated with jewels and a classic color scheme to match the dentzel style scenery on the outside of the ride. 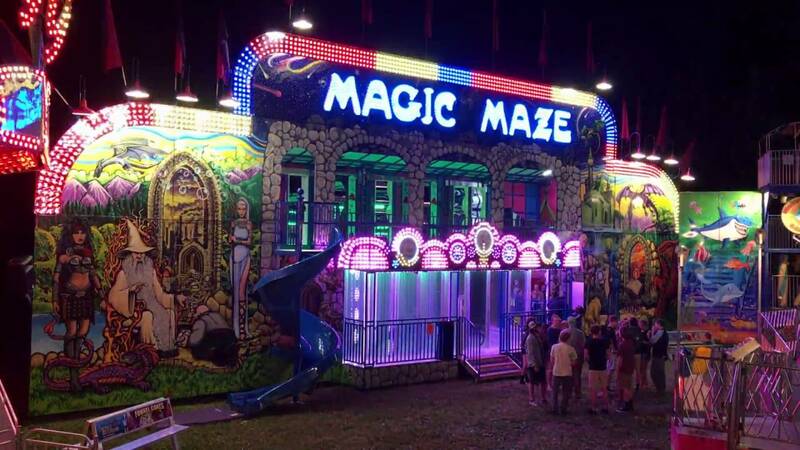 NEW for 2016 -- The Magic Maze will delight everyone in the family! This double-decker glass house is sure to please. Stop at the top deck and take a picture, then slide your way to the bottom to exit. ** Between 36" - 42" can ride with an adult. The Quadzilla is a Jurasic Park type 4x4 truck ride for adventurous kids! Each of the 4x4 trucks takes riders on an exciting adventure over a bridge and through various turns and tunnels. The Quadzilla is one of only two rides of its kind in existence in the USA. The Scooter, also known as the Bumper Cars, gives drivers the right to crash into their friends without penalty! 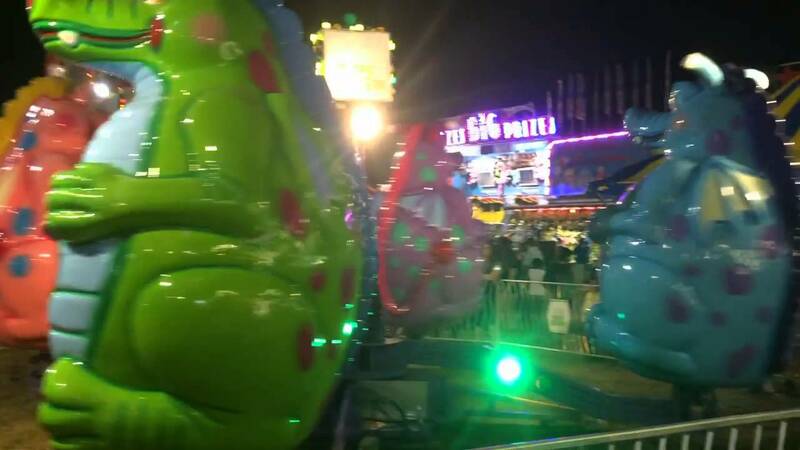 This is a family fun ride enjoyed by all! You must be 48" tall or taller to ride alone. ** Between 42" - 48" can ride with an adult. 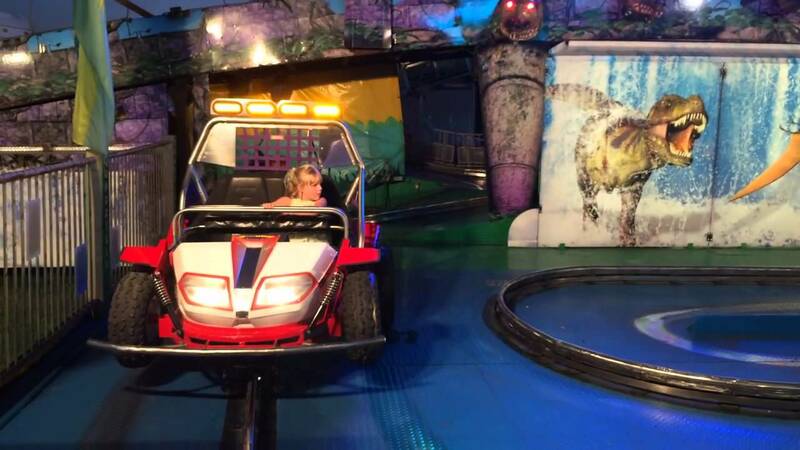 This ride requires 5 tickets per person to ride.